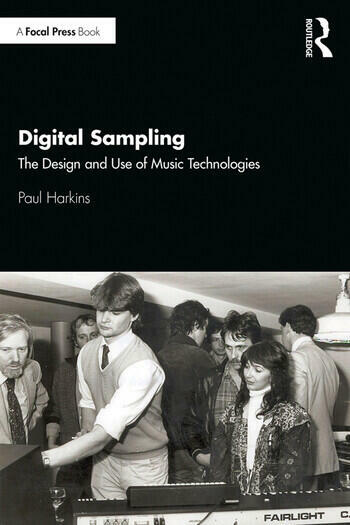 Digital Sampling is the first book about the design and use of sampling technologies that have shaped the sounds of popular music since the 1980s. Written in two halves, Digital Sampling begins with an exploration of the Fairlight CMI and its use by artists like Kate Bush and Peter Gabriel to sample the sounds of everyday life. It also focuses on E-Mu Systems and the use of its keyboards and drum machines in hip-hop. The second half follows users across a range of musical worlds, including US/UK garage, indie folk music, and electronic music made in sewers, war zones, and crematoriums. Using material from interviews and concepts from the field of Science and Technology Studies (STS), Digital Sampling provides a new and alternative approach to the study of sampling and is crucial reading for undergraduates, postgraduates, and researchers from a wide range of disciplines, including music technology, media, communication, and cultural studies. Paul Harkins is a lecturer in the Music Department at Edinburgh Napier University.